Our inaugural Asian Sparkling Masters was a sure sign that Champagne, the holy grail of sparkling wine, is still the crème de la crème of all fizz and unapologetically reigns with its rich tradition, layers of complexity and razor-sharp precision in the winemaking process. 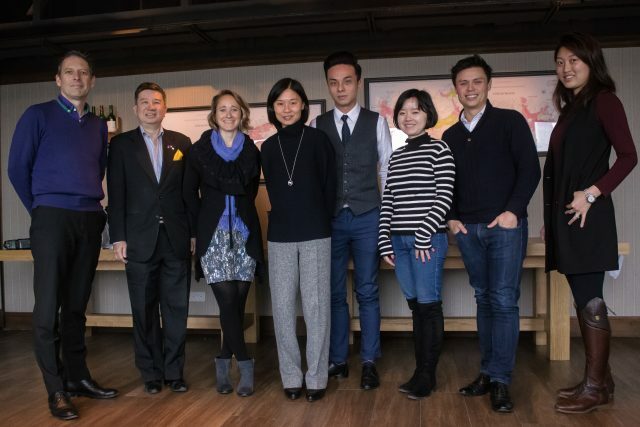 Judges at our latest Asian Sparkling Masters held on 30 January at HIP Cellar: (from left to right) Jeremy Stockman, general manager of Watson’s Wine; Yu-Kong Chow, independent F&B consultant and wine judge; Francesca Martin, director of BEE Drinks Global; Ivy Ng, publisher of the drinks business Hong Kong; Derek Li, chief sommelier at Duddell’s; Natalie Wang, managing editor of the drinks business Hong Kong (observing); Eddie McDougall, The Flying Winemaker; and Anty Fung, general manager of HIP Cellar. In our inaugural Asian Sparkling Masters competition on 30 January, an expert panel of judges including Hong Kong’s top wine buyers, sommeliers and consultants blind-tasted a diverse spectrum of sparkling wines including Champagne, Prosecco, Cava, Cremant de Bourgogne, Asti and, without exception, the famous French fizz came out swinging. To put it in perspective: Champagne alone is responsible for producing all five of the Master medal winning wines, the top accolade of our competition, which is awarded only to wines that have been unanimously scored 97 points or above by the judges. In addition to sweeping all the Masters, Champagne dominated the gold medal chart nabbing seven out of the eight awards given out. Compared with other sparkling categories, its association with good times, zippy acidity and complex aromas cut through the competition and was ultimately rewarded with the biggest medal haul. 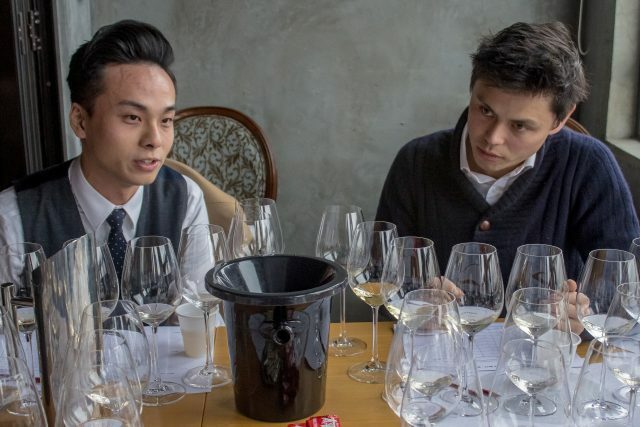 “For this inaugural Asian Sparkling Masters, the entries were overall of high quality. The top houses showed well, proving their consistency,” Yu-Kong Chow, independent food&beverage consultant and wine judge, commented. The region, encompassing 34,000 hectares of vineyards, sold more than 307 million bottles worldwide last year, and the lure of the frothy bubbles is expected to grow as demand from emerging markets is set to accelerate. The Asian Sparkling Masters is a competition created and run by the drinks business Hong Kong, and is an extension of its successful Asian Masters series. 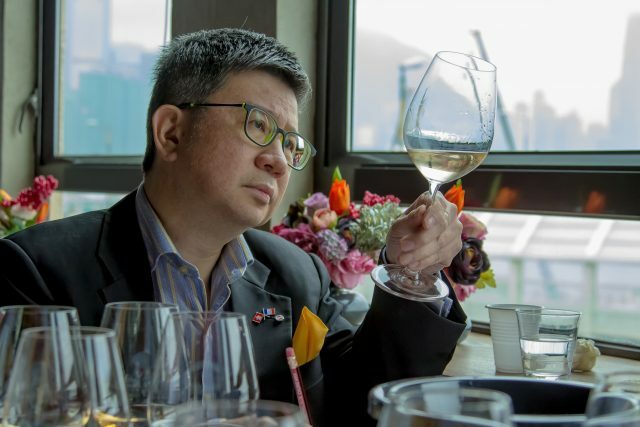 The competition is exclusively for sparkling wines and the entries were judged by a selection of experienced tasters including Hong Kong’s top wine buyers, sommeliers and consultants. The top Sparklings were awarded Gold (93 points or above), Silver (89 points or above) or Bronze (85 points or above) medals according to their result, and those Sparklings that stood out as being outstanding received the ultimate accolade – the title of Master (97 points or above). The wines were tasted over the course of a single day on 30 January, 2018 at Hip Cellar. This report features only the medal winners. One of the top performers was Taittinger’s premium cuvée – Comtes de Champagne Blanc de Blancs – made with Chardonnay from six of its grand cru sites. The 2006 vintage was reflective of the year’s fine integration and expression and scored 97 points, landing it the coveted Master title. “It is a fine example of an excellent Champagne with its seductive delicate floral aroma, rich complexity and the balance of beautiful acidity. It ticks all the boxes,” declared Chow. Moving down from the price ladder, Champagne Lanson Extra Age Brut and Champagne Barons de Rothschild Brut – both in the HK$400-799 bracket – were equally impressive. The Rothschild Blanc de Blancs was a favourite among a couple of judges, and is believed to be more expressive than the Champagne house’s vintage 2008 cuvée, which carries a heftier price tag (Above HK$800). 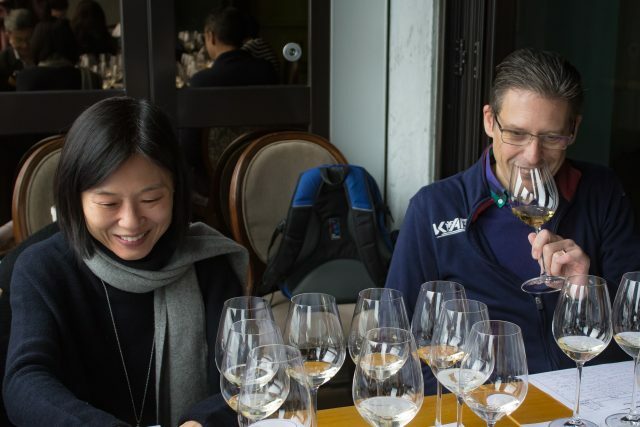 “It actually shows even better than the vintage 2008 version – not to say the latter isn’t good it just wasn’t within its drinking window yet, thus it appears a bit more closed than the brut version,” commented Anty Fung, general manager of Hip Cellar. Lanson’s Extra Age Brut NV, a tri-vintage blend of Chardonnay (40%) and Pinot Noir (60%), landed a Master for its weight, length and balance. Different from most of our Master series competitions, with sparkling wines, notably Champagne, price tends to directly correspond with quality – as opposed to Shiraz, for instance, where it’s not uncommon that out-liers can sometimes outperform pricier samples. But that doesn’t mean there’s no value bottles within Champagne. The surprises among the top winning wines came from Champagne Castelnau Cuvée Blanc de Blancs Millésimé 2003 (HK$200-299) and Champagne R&L Legras Brut Blanc de Blancs NV (HK$300-399). The former from the torrid, frost-bitten and sun-scorched 2003 vintage, which saw the majority of Champagne houses forfeiting declaring a vintage, showed classic autolysis aromas and plenty of personality. “Its great complexity and length won me over, as were its great toasty and nutty characters,” exalted Chow. The Champagne R&L Legras Brut from Chouilly, the famous and most northerly village of the Côte de Blancs, meanwhile is a good example of precision with a dosage of 7 g/l. For Gold medal winning wines – scoring 93 points or above – the highest number were awarded to non-vintage cuvées, the bread and butter of the Champagne sector, proving that with careful grape selection, attentive and gentle pressing and extended lees contact, non-vintage specific cuvées do not lack for finesse and clear definition; as we found in Champagne Barons de Rothschild Blanc de Blancs Brut, Lanson Rosé Label Brut, Lanson Black Label Brut, Berry’s United Kingdom Cuvée Grand Cru Mailly and Champagne Thienot Brut. Two vintage cuvées – Champagne Barons de Rothschild Blanc de Blancs 2008 and Lanson Nobel Noble Cuvée from the stellar 2002 vintage – were also gold medal decorated winners, carrying higher price tags (both in the above HK$800 range). Gramona’s vintage Cava is the only other non-Champagne sparkling wine that managed to break Champagne’s choke-hold at the top of the medal charts. The 2012 Brut, a blend of local varieties Xarello and Macabeo, impressed the judges with its quality considering its accessible price tag (HK$200-299). But with pleasing samples, there were a few cases where excessively green fruits, oxidation and cork taint made the judges scrunch their noses and turn their head away. One of the trends on the lips of producers and consumers nowadays is a move towards lower dosage. “The recent trend is going for lower dosage sparkling especially in grower Champagnes. This is closely tied with consumers’ pursuit for single vineyard, special Cuvée, more premium examples of grower Champagne. They don’t need low or even any dosage in order to show balance, harmony and complexity,” commented Fung. Even contrary to popular convention that Chinese drinkers favour a more generous touch of sweetness, in more mature markets like Hong Kong and Japan lower dosage and zero dosage are much sought-after. “The standard of four(ish) g/l I think works well. I don’t believe Asia in particular looks for more sugar: my experience of top quality sparkling is that consumers appreciate in the same way as elsewhere,” Stockman noted. 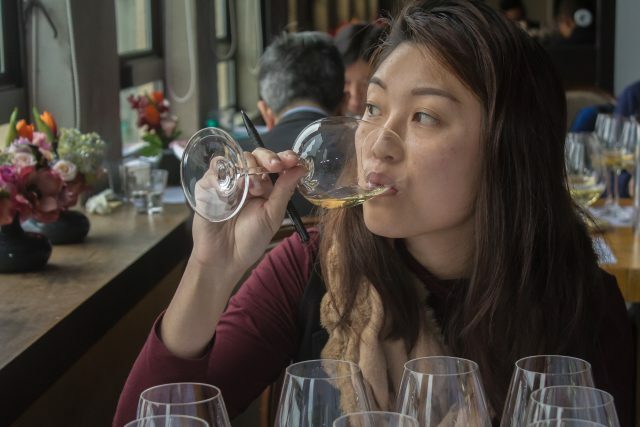 In the on-trade sector in Hong Kong, not only are drier styles of wines attracting consumer interest, German grower Sekt, other premium New World bubbles and English sparkling wines are also piquing interest from consumers, Fung observed based on her on-trade experiences. This doesn’t mean sweeter versions of sparkling wines are pushed out of the market. Outside Hong Kong and Japan, most drinkers in mainland China and other Southeastern Asian countries still prefer a higher content of dosage. “Hong Kong and Japan are sophisticated markets, preferences are generally towards refreshing and savoury styles. As you move into Southeast Asia a higher level of sweetness is preferred. China is still learning about the intricacies of sparkling wine so it’s still undefined as to what their preference are,” McDougall suggested. Moving towards higher dosage category, above 12g/l, in our competition one of the more commonly noted drawbacks is their overtly cloying and unbalanced sweetness. When the scale tilts too much towards sugar, the wine’s overall balance is sacrificed without the backbone of acidity. “It’s when sweetness isn’t balanced, then you have a problem. 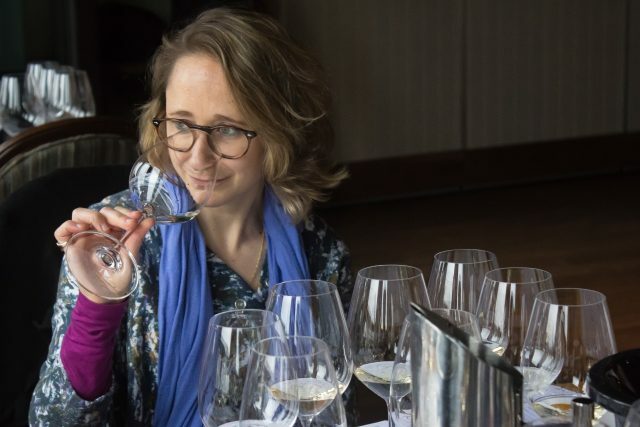 The wine will become cloying, less refreshing thus less appealing to drink,” commented Francesca Martin, founder of BEE Drinks Global, adding that a Silver-medal winning Asti from Diama was a fine example of achieving balance between sweetness and acidity. In the higher dosage category (over 12g/l), that’s when Italy’s strength in crafting fruity, refreshing fizz came through, with plenty to offer such as Asti Spumante and Prosecco. Mezzacorona Moscato Giallo Spumante, Stantero Fratelli & CIVASS 958 Santero Asti Secco, and Societa Agricola Giusti Dal Col Prosecco DOC Treviso Rosalia were noted examples of fizz that found the sweet spot in the lower price category under HK$149. Mas de Fer Rive di Soligo’s 2016 vintage Prosecco from Valdobbiandene DOCG region added another medal to Italy’s silver streak. Other illustrious names in Italy’s sparkling wine scene including Bellavista and Andreola took home Silver medals as well. It’s safe to say that with Prosecco’s growing global popularity, we’ll be sure to see more samples from the region climbing up the medal chart either for drier samples or in higher dosage category. Global sparkling wine consumption is forecast to grow by an average of 2% year-on-year through to 2021, and Prosecco is undoubtedly in the driving seat, according to the latest joint report by Vinexpo and IWSR. By then, Prosecco’s growth will far outstrip other major categories such as Champagne and Cava. Outside of Italy, Austria made a savoury sparkling using its indigenous variety Grüner Veltliner. Treasury Wine Estates’ Marquis de La Mysteriale Champagne Cuvée Grand Esprit Extra Dry was given a Silver as well. Spain’s Félix Solis Avantis’ Vina Albali Bianco Brut and Prospero Gran Selezione Bianco Brut were two good value bottles for under HK$100, so was the François Labet Cuvée Splendid Blanc de Blancs Bru. LVMH’s more accessible Champagne G.H. Mumm NV also got a nod from the judges with a Silver medal. In the rosé category, meanwhile, Schlumberger’s Rosé Klassik from Austria and Lanson Extra Age Rosé both took home Silvers. You can scroll over the pages to see the full results.